It was made clear at the Duster's launch that the Renault-Nissan Chennai plant will soon reach production capacity of a whopping 4 lakh units annually (or about 33,000 units each month). In the first 6 months of 2012, the Renault-Nissan combine has sold 29,000 units in India. The Duster's production target will add another 50,000 p.a. (or ~4,200 a month) to that tally. So, where is the rest of the production going to be sold? One word : Exports. The focus of the Chennai facility will be on production for export of cars like the Duster, Micra & Sunny. The major export destinations will be markets like Brazil, Russia, Indonesia, China and the UK. The facility was set up in 2010 in Oragadam, about 40 km from Chennai. Soon, it will operate on three shifts and two lines. The company intends to further increase capacity to 800,000 units by year 2016 and expanding the model range to about 20 cars (including cross-badged products like the Micra & Pulse). Hyundai is currently the largest exporter of automobiles from India. Renault and Nissan make up the many global car companies that have set up facilities in the Chennai vicinity. Cheap and stable labour, along with convenient supply chain logistics, have made Tamil Nadu a first choice for auto manufacturers, despite strong competition from states like Gujarat. Unlike neighbouring China, India allows foreign manufacturers 100% ownership of local operations. This, at a time when other manufacturers are cutting production and announcing working holidays to its workers (Link to thread). Talk about bucking the trend. The export-oriented strategy is definitely working out for them. I'm only wondering why other manufacturers aren't developing full-fledged export hubs here. Hyundai was the first to recognise this opportunity and currently exports over 2 lakh cars per year from India! As rightly mentioned, China forces foreign car manufacturers to tie up with local partners (not so in India), and the big guys are always worried about technology theft etc. I was at a Nissan and Renault suppliers plant and they had production volumes of 10000 units plus per month (this was 6 months back). When asked as to how the shipments were so high when Nissan/Renault volumes are so low in India, they told me that majority is exported. Looks like they are ramping up the exports further. Can high volume of the export be reason behind not so aggressive pricing of the Renault cars. It's good for India in many ways though. One, generating employment. Two, better quality. - pervasiveness and hence better service. Last edited by SkyWalker : 6th July 2012 at 21:46. IMO Nissan has cracked the India code too, with the Sunny. If they can ramp up their service network soon, they'll be among the Top 5 by the end of the decade. I recently read somewhere that Nissan/renault exports from India far exceed [by about 2:1 ratio] domestic consumption in India. 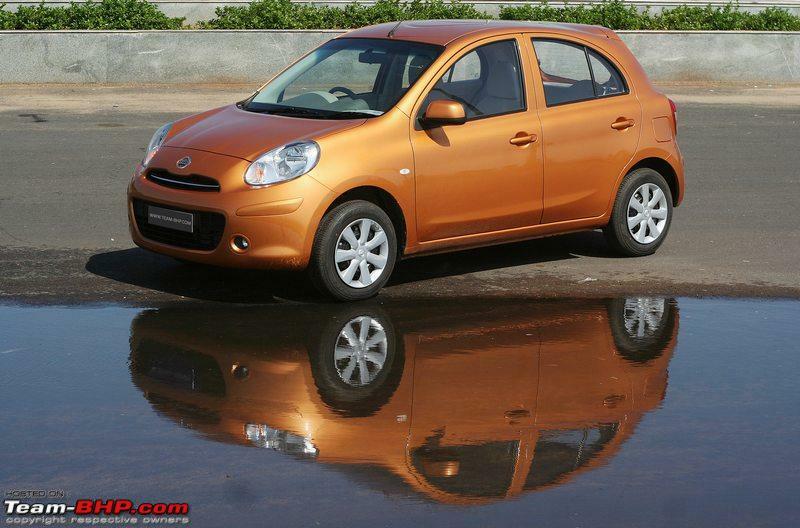 The Micra, for example, sells in over 160 countries whereas only India, China, Thailand and Mexico produce this car. India supplies to the UK and whole of Europe, which I assume will most definitely be a sizeable market. AFAIK, Nissan/Renault are the second-largest car exporter in India, after Hyundai, by volumes. There are catching up real fast. Other manufacturers are also ramping up exports in order to compensate for the rise in import costs. Last edited by scuderiamania : 7th July 2012 at 11:05.